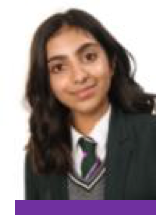 Laiba 9 Beech – Laibe is a hardworking and dedicated student who consistently gives her best in all subjects. She has over 150 achievement points and excellent ATL scores. Not only is Laiba and excellent student, she is also helpful and a pleasure to teach. Teacher describe her as ‘tenacious’ and ‘determined’. Well done! We are proud of you! Alex 11 Ash – Alex has been extremely focused during this very important year in his school career. Alex has been working hard in all his subjects, taking feedback and improving his work. Alex is also an extremely talented dancer and has performed to a high standard at many school events. Alex has great attendance and a positive attitude to learning. Alex is a kind and considerate young man, who helps others too! Keep up the great work and it will no doubt pay off in August! 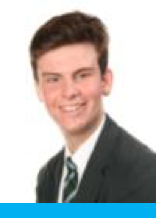 Benjamin 12 Ash – Benjamin joined our ever growing Sixth Form in December 2018. He has settled into Sixth Form extremely well. Benjamin is one of 4 students who are taking part in delivering an assembly on our theme of the week, which is Innovation; to the whole school!